Lego Mindstorms and the iPhone make a great experimental pair. BattleBricks created a Lego iPhone robot who can be controlled via any browser. This video demonstrates the iPhone to Lego NXT Robot communication via the Safari browser and Lego’s Light Sensor. After looking at the video i can only wonder whats the next thing we are going to see ..
Xgps will bring GPS to our iPhone and iPod touch? I found a new program in development during my daily internet searches. 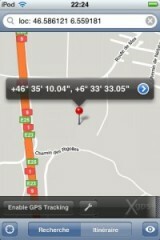 It’s called XGps, and the website reveals the app as a Open GPS hardware and software solution for iPhone and iPod touch. For the moment there’s only 1 screenshot and some very little information on the webiste. I will keep watching this and will report back to you when there’s more information. One thing that bothers me though is the fact that the latest update is from late april.. only one month ago..
» Xgps will bring GPS to our iPhone and iPod touch? DreamCatcher, the creators of the iPhone video recorder are launching a contest. To celebrate the blossom of iPhone Video Recorder, we, DreamCatcher are launching a video contest for the most creative and smooth videos which are made using iPhone Video Recorder. The Contest organization committee will choose top 10 winners from the participants by the end date June 30th, 2008. 1. Use of DreamCatcher’s iPhone Video Recorder. 2. Youtube users rate and views counts. 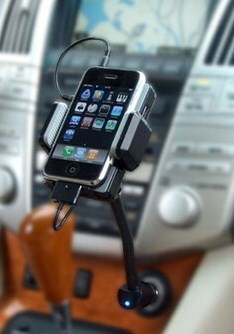 iPhone 3G accessories on the market in June! Some news from the manufacturing side. ‘CCA iPod Accessories’ say that they will put iPhone 3G accessories on the market in June. This news is posted on 5/23/2008 on their website. No further news on the link, but where watching it every day. Have a look at their site for further absolutely fine iPhone and iPod accessories for even protection or in the Car (they even got a wireless car kit for the iPhone. 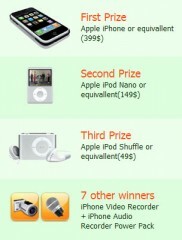 » iPhone 3G accessories on the market in June! It’s time to inform you guys of the updates again. 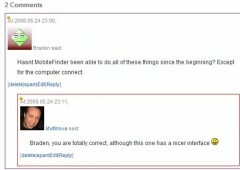 I’ve added automatic pictures (avatars) when you post a comment. Once you have registered, Make sure you use the same e-mail address as the one you are using to post comments on here. I just posted the news that all apps + games moved from Touchrepo to BigBoss. Well it seems that we will soon only have 4 big repository’s left. BigBoss, NullRiver, RipDev and iSpazio. 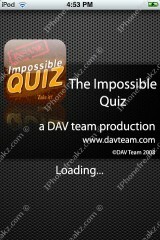 DavTeam moved all of there applications and toys to the iSpazio repo. BigBoss repo now has all the apps and games from the old TouchRepo. TuxPuck – An airhockey game/Shufflepuck Cafe clone for the iPhone/iPod Touch. StatusStyle – Tool to change SpringBoardâ€™s Default StatusBar. iZoo – Fun game in the style of Zoo Keeper/Bejeweled. Wiki2Touch – Search and read Wikipedia articles offline. I’ll post some screenshots of the apps/games so you know what they are.